As hypnotherapists could we work more effectively – and profitably – by altering the way we are seen by potential clients? 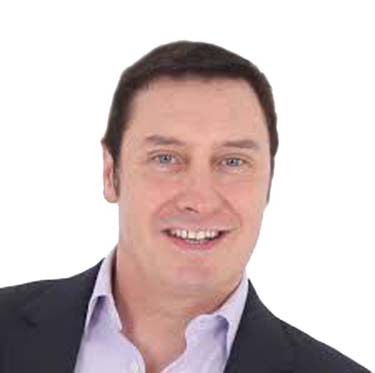 Our guest speaker at our next meeting on the 18th April, Grant Murrell, strongly believes so and will be explaining what each of us needs to do to improve our own businesses. From an early age Grant say he has had deep interest and respect for the work that hypnotherapists deliver. However over time he he began to notice a significant gap which seemed to exist between certain professions and that of some hypnotherapists. According to our guest speaker: "This is often reflected by the differential in financial reward; when they too should enjoy a professional income level that reflects the quality of the work they provide. "Furthermore, if achieved, the secondary benefits of which could enhance the general status of the profession in the eye of the public while raising the self concept of the practitioner, and perhaps most importantly allowing their minds to operate freely and therefore enable them to provide their best performance to their clients." Over the past 16 years, het and his team have helped hundreds of entrepreneurs, businesses and organisations from 15 countries, sacross five continents to increase profits by up to 200 per cent. Grant added: "I have been discussing and delivering these talks and trainings with hypnotists and holistic practitioners throughout the UK and overseas which have been well received. I am now looking forward to sharing them with all of you at the James Braid Society. During the workshop Grant will set out to explore, guide and help all those taking part into investigating their own professional values and the outcomes they hope to help clients achieve. During his talk he will explained how therapists should present themselves with ease. In addition he will offer advice on how to attract clients, foster client referrals and build a practice that reflects the therapist's own lifestyle. This will be an interactive evening with explanations, demonstrations and time to practice in a supportive and encouraging environment.